Lots of people have been to Bangkok, but not everyone has tried the food in Bangkok, especially those top ones. So today, we are going to introduce some of the best restaurants in Bangkok and even in the entire Asia. 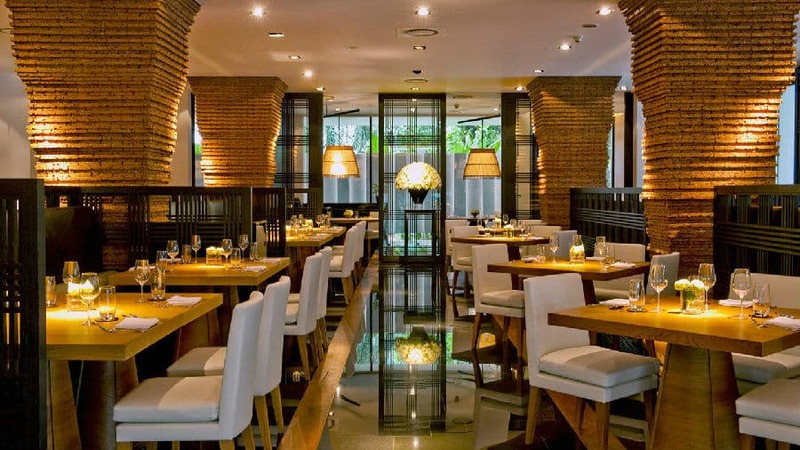 Check out our Top Ten Restaurants in Bangkok. Gaggan as an Indian cuisine restaurant was rated as the best restaurant in Asia for years and the seventh in the world's best restaurants. Its chef - Gaggan Anand combines molecular gastronomy and Indian food together and brings guests unique modern India taste experiences. 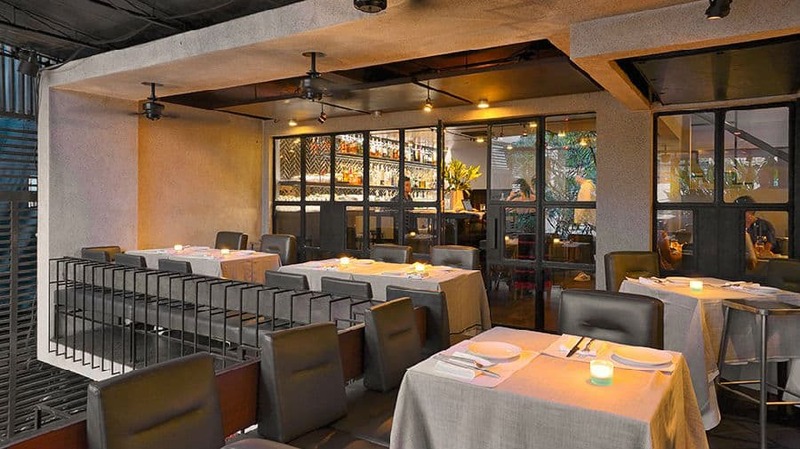 Rated the fifth in Asia's 50 Best Restaurants, Nahm has its own charm. Chef David Thompson and his team create characteristic menu that can bring you wonderful Thai food experiences. However, this is not like your everyday experience for Thai food. Thompson mixes sourness, sweetness, barbecue and smoky flavor together and form his unique Thai style. 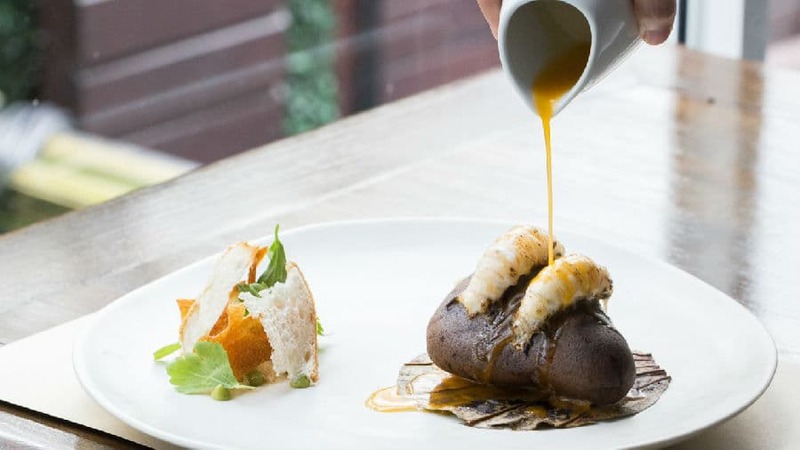 In a city like Bangkok, it is not easy to find a modern restaurant that offers tasting menus of seasonal dishes inspire by chefs' home country - Germany. Its chefs - twins Thomas and Mathias Sühring offer guests a homelike place to try their delicious food. If you want to try some authentic Thai food, Bo Lan can definitely become one of your choices. Thai-born chef Duangporn 'Bo' Songvisava and Australian-born chef Dylan 'Lan' Jones met at David Thompson's erstwhile London Nahm. 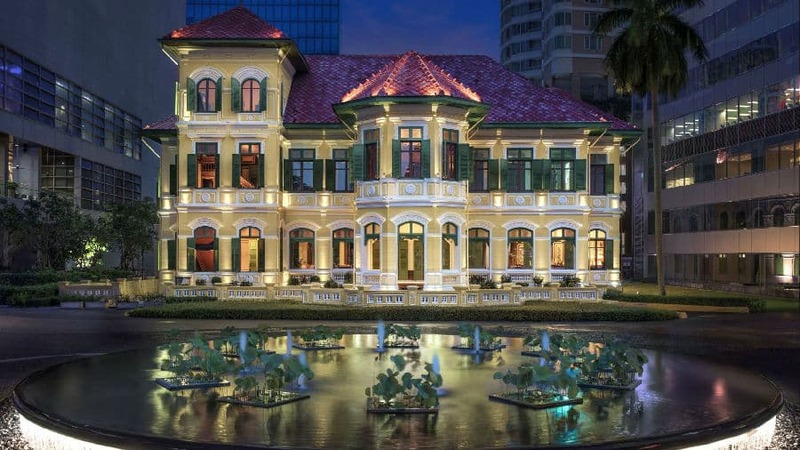 Now this husband-and-wife team oversees one of the most respected restaurants in Bangkok. 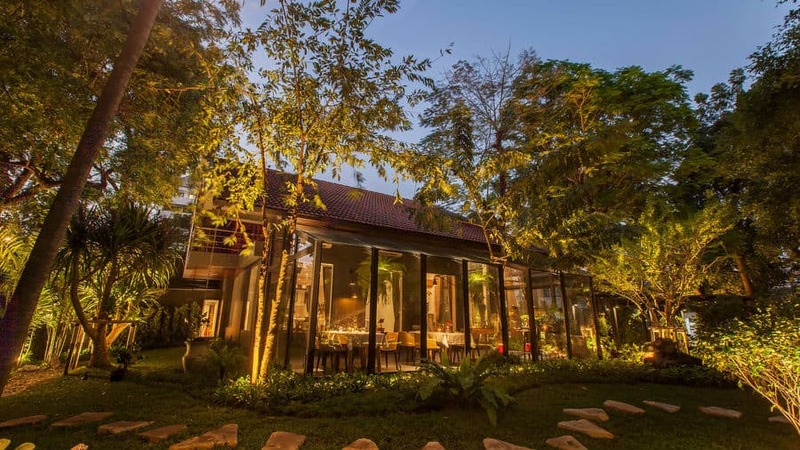 Issaya Siamese Club is a modern Thai dining by celebrity chef Ian Kittichai. 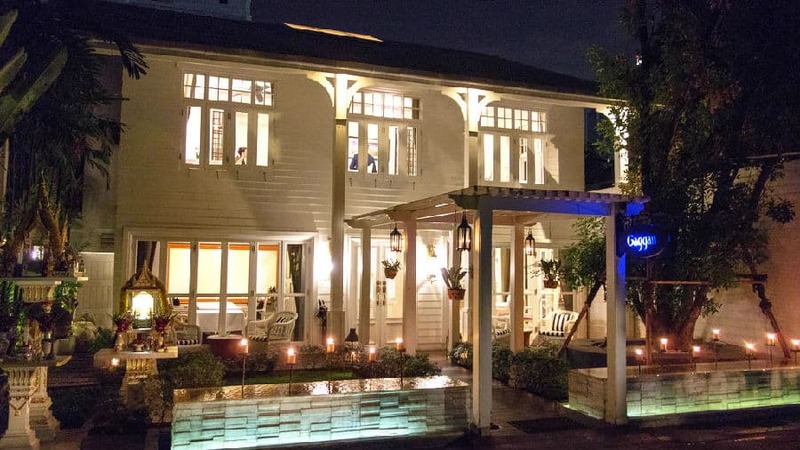 It is well hidden on a small street; this 100-years-old house with its wooden verandah and old fashioned staircase instantly sets a romantic mood, making it a perfect place for duo dining. Opening Hours: Lunch: Monday-Sunday 11:30AM – 2:30PM, Dinner: Monday-Sunday 6:00PM - 10:30PM, and the bar closes at 1AM. Eat me provides creative modern international cuisine. This art gallery and restaurant provides people a wonderful environment with some tasty food. It can always keep things fresh with ever-changing art exhibitions, an inventive menu and a smart casual dress code. The history of House on Sathorn can be traced back to almost 130 years ago when it was built by a Thai aristocrat as a home for his family. 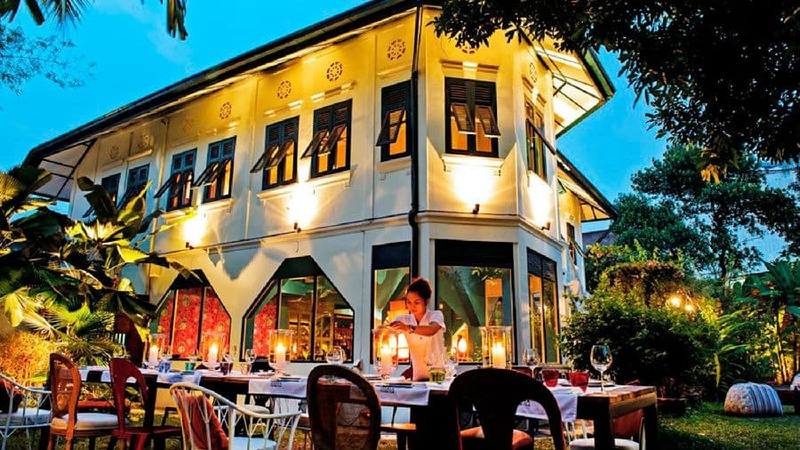 Today, in one of Bangkok's most ambitious restoration projects, you get the chance to try some innovative Asian food with a Turkish twist, which will surely surprise you along with its beautiful architecture. Even though Le Du is a French name, this is not a French restaurant. Le Du means "seasons" in Thai, which emphasizes on their culinary creations out of seasonal products. 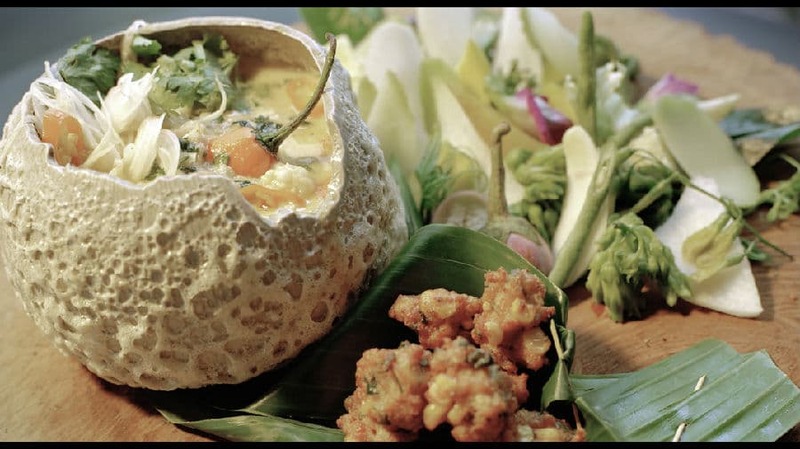 Chef Thitid Tassanakajohn is a young man who graduated from a school in the US, which allowed him to delicately combine Asian flavors with modern technologies. 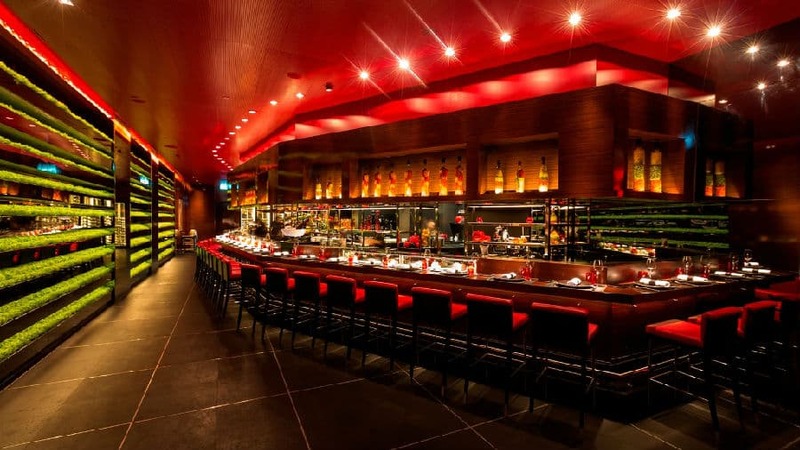 L'Atelier de Joël Robuchon is a modern French restaurant with a stylish dining environment. The entire restaurant is kept in dark hue of red and grey. The long bar with an open kitchen allowed diners to see and interact with the chefs. So if you want to try some French cuisine, L'Atelier de Joël Robuchon can definitely on the list. 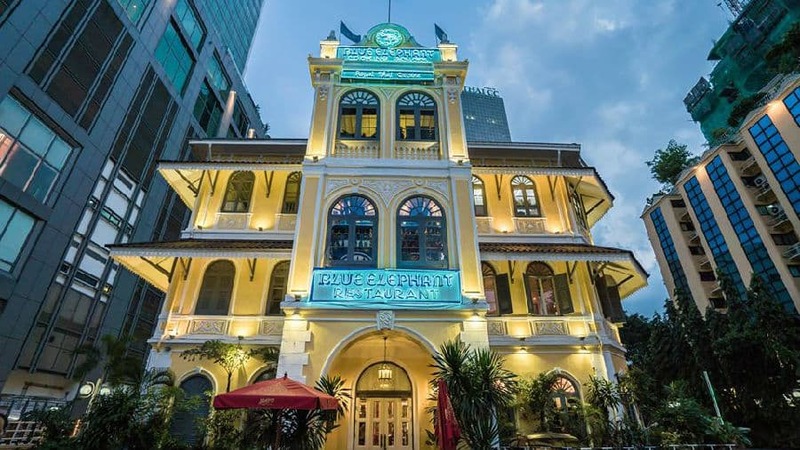 Blue Elephant Restaurant is a global restaurant chain famous for its Thai food. It started 30 years ago, and one of its sub branch had won Michelin 3-stars. Blue Elephant mainly focuses on Thai imperial food, which make it a favor members of Thai royal family. It also provides cooking school that would allow people to have an opportunity to cook Thai food in person. See website for more information.